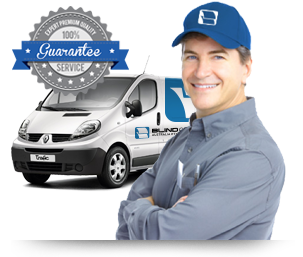 Welcome to Blind Concepts – we are a well trusted and long established specialist of domestic and commercial window treatments for blinds and awnings. We not only sell and install, we repair and clean on-site too. We design, supply, install, repair and clean a HUGE range of window furnishing solutions. With our complete range of service, we have the perfect solution to add a touch of elegance to your home. With our wide industry experience, we possess the skill and resources to offer customer service to the highest standards from start to finish. Our blinds are created from superior quality fabrics for a crisp finish. With the wide array of styles available, you are sure to find the blind that best complements the look of your home. Be it channel stop awnings online or any other pattern of blinds, we have the latest selection in store for you. We are specialist motorisation experts, we work closely with Somfy, the market leader for home & commercial automation of window furnishings. Allow us to design, specify and install your automated home window treatments – internal and external. Our service is second to none and we strive to offer window furnishing solutions at incredible prices. If you are eager to spruce up the look of your home and looking for a reliable service, look no further. Explore our collection to discover a stunning collection of blinds at affordable prices. At Blind Concepts, we understand that every space has its unique needs. We wish to make the process of choosing the right blinds easy for you with our broad collection. Our professionals are experienced and can help you select blinds that best suit your interior and lifestyle. We can also suggest ideas to make your space stand out. Our blinds are made-to-measure and with their flawless fit, they make the ideal addition to any home. You can pick your favourite colour or include added features for an extra level of convenience. Eager to brighten up the look of your home? Blinds are a versatile accessory that can enhance the appeal of your interiors. Choose from our wonderful collection of blinds today to complete the look of your home. If you need any help, feel free to call us at 03 9720 1778. You can also get in touch with us online for a free quote.